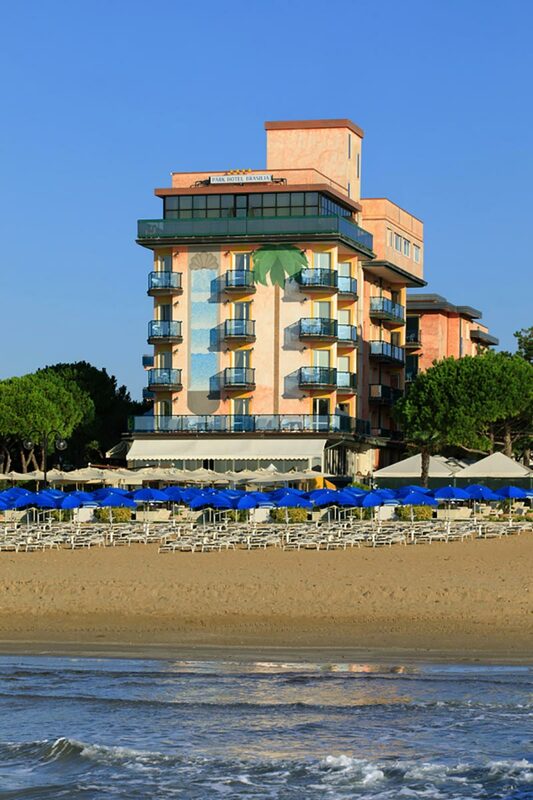 Nestled on the sandy shore in the East Side of Lido di Jesolo, our 4-Star Superior hotel enjoys a privileged position overlooking the sparkling waters of the Adriatic Sea. 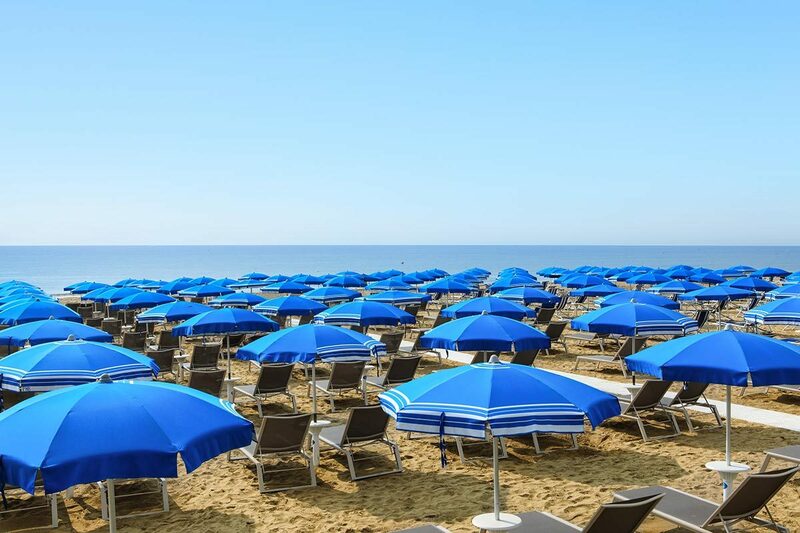 Complimentary beach chairs and umbrellas await you on the golden stretch of our hotel’s private beach. Sink your feet into the fine golden sand and inhale the salty sea breeze as you let the currents take your worries away. 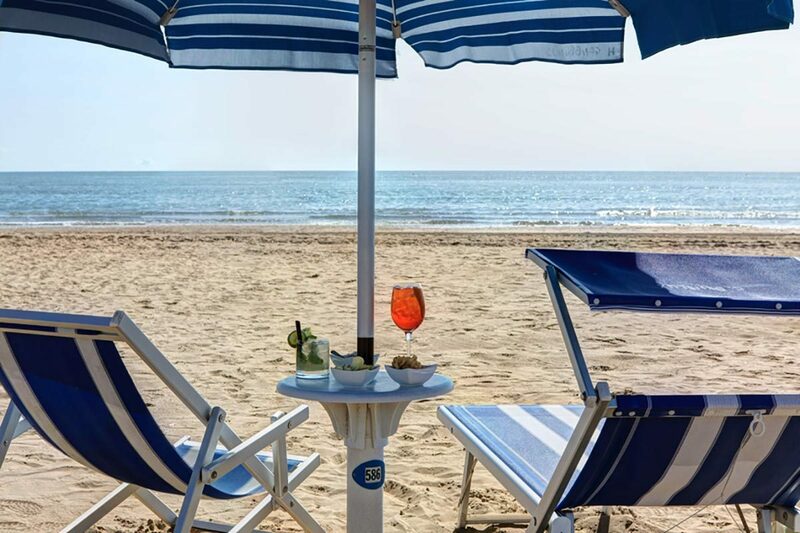 Watch your children fill up their buckets with colorful seashells, dipping their little feet into the gentle waves and enjoy a romantic stroll along the 15-km-long beach of Jesolo under the soft light of the golden hour. 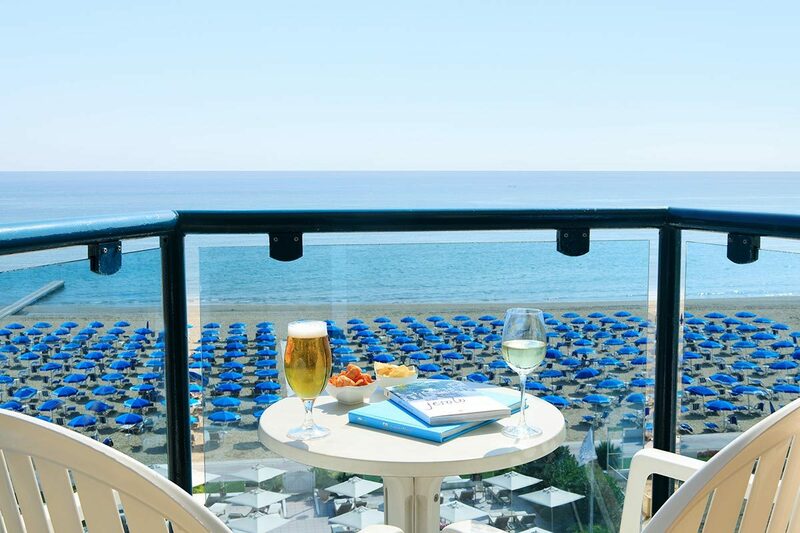 The time has come to relax and rejuvenate.